Buy flower flavored teas on TeaVivre to bring a refreshing air to the summer. We have kinds of floral teas including oolong tea, green tea and black tea. TeaVivre pays attention to different demands of customers. We keep enriching our product line with various kinds of teas. Summer comes with the hot air. This time we bring several kinds of floral tea on TeaVivre: Jasmine Bi Luo Chun Green Tea, Rose Black Tea, and the Osmanthus Oolong Tea. 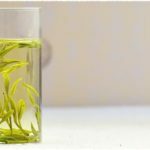 Using premium tea leaves from Fuding Dabai tea trees as material, being processed in the method of making Bi Luo Chun Green Tea, this Jasmine Bi Luo Chun is scented with a large amount of fresh jasmine flower. 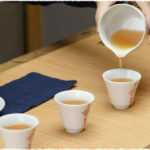 The dry tea presents heavy jasmine fragrance, which still lasts after several steeps. 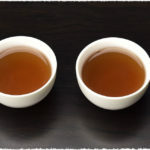 It can be brews for more times than regular Bi Luo Chun Green Tea. The vivid and bright rose brings lively color to the black teas. This tea is made of french rose and Dian Hong Black tea from Yunnan. It maintains the mellow flavor of black tea, as well as carries a high rose fragrance. Coming from Ali Mountain in Taiwan, this Osmanthus Oolong Tea is made of the tea leaves from Qingxin Oolong tea tree, and it is mixed with natural fragrance extracted from fresh osmanthus flowers. You can even see dry osmanthus petals scattered in tea leaves. The tea looks quite pleasing as well as tastes delicate. If you lover floral teas, add them into your shopping cart right now! PreviousPrevious post:Share a healthy gift of tea with Dad this year!